Google's transition from the traditional three-button Android navigation to the shift to gestures on Pixel 3 was a little rough. Google seems to be figuring things out and improving the pixel's gestures for Android Q, but other companies have already come up with better approaches. Motorola probably did it best. 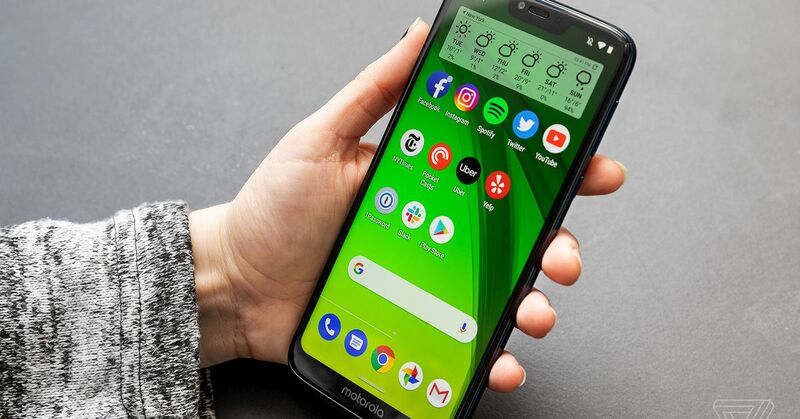 The other current mobile phones of the Moto G7 and Motorola come standard with the usual three virtual buttons. To use gesture navigation instead, just open the Moto app pre-installed on your phone and switch the one-button navigation. Once you have done so, you will be guided through a brief introduction to all the wiping actions and their actions. To go home, touch the bar at the bottom of the screen. This is certainly the easiest. The navigation bar normally displays the Home icon. Therefore, it makes sense to tap the Home icon once, exactly what the Home icon would do. Move up from anywhere on the Home screen to get to your list of apps. This is a subtle touch that I really like. If you'd like to go directly to the App Drawer and skip the multitasking menu of Android 9 Pie, just swipe up from anywhere on the Home screen, which is not the virtual bar . This is a much simpler gesture than having to go further up the drawer. This is what you need to do at a pixel. Swipe up from the virtual bar to start multitasking. If you want to preview the apps you recently opened, just swipe up and you'll be taken to the Android 9 Pie App Switcher. Remember that text can be copied and pasted between these multitask preview windows. Swipe right to switch between the two most recently used apps. If you're often in a situation where you frequently switch between two apps, you do not need to open the full multitasking view to switch between them. Instead, just swipe right to the virtual button and you'll switch from one to the other. The back button on Android can be a bit inconsistent and unpredictable, which it will sometimes do, but if you use it you can often do this by swiping to the left on the one-touch navigation bar. Press and hold the one-touch navigation bar to access Google Assistant. If you want to ask Google something with your voice or give Google Assistant a command, you can get there by holding down the navigation bar. Vox Media is a partner company. These do not affect the editorial content, although Vox Media may receive commissions on products purchased through affiliate links. For more information see our Ethics Policy .